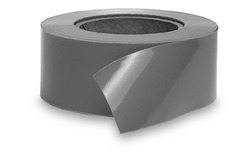 Exporter of a wide range of products which include fabrics reflective tapes, non - adhesive reflective tape and ribbon tapes. 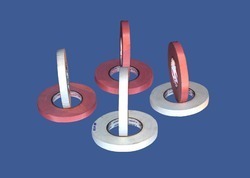 We manufacture an array of reflective tapes popular for its high visibility and make in different colors. It is used on outer surface of many packages due to its reflective nature which enables it to shine and could be visible from anywhere. 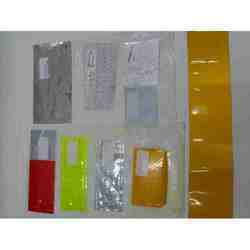 These tapes enhance the nighttime visibility of the product or packaging. It is widely used in textile and garment industries. We can avail these in different width and different colors. Used in garment and textile. Reflective tapes reflect light during night and also during bad weather. Make the things or persons visible and avert any danger of big or small accident. So it is extensively used for safety purposes. Available in many colors and kinds.